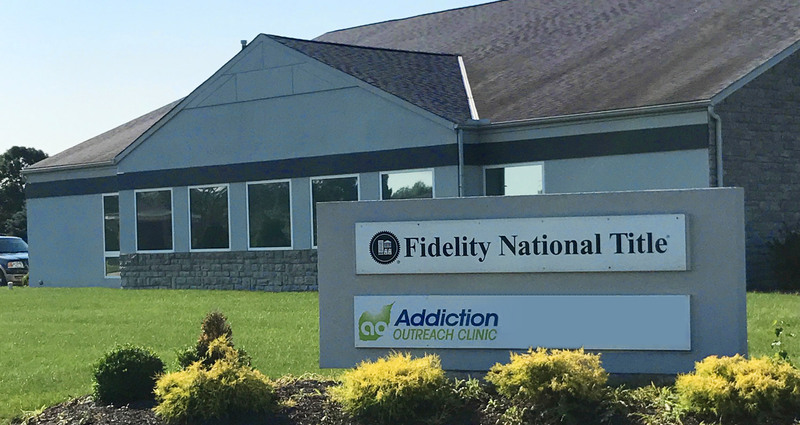 Addiction Outreach Clinic (AOC) is an outpatient clinic practice that specializes in opioid addiction treatment with seven locations in Ohio and Pennsylvania. AOC provides a professional, caring and safe environment, which ensures the best possible outcome for our patients. AOC was founded in 2007 by Dr. Nicholas Atanasoff who saw the rising heroin and pain medication addiction epidemic in Ohio and Pennsylvania and understood the need for a results-driven, realistic treatment approach for patients based on their lifestyle, work commitments and other responsibilities. He started prescribing a relatively new drug at the time called Suboxone® that includes a combination of buprenorphine and naloxone to help reduce/prevent cravings and withdrawals. This medication combined with a required monthly behavioral counseling session in an outpatient clinic setting enables patients to focus on their recovery efforts while returning to their lives faster than traditional opioid addiction treatment methods, which require up to 20 counseling appointments per month. Dr. Atanasoff has expanded his practice into seven clinics with much of the growth driven by referrals from former patients. Since its founding, AOC has helped several thousands of patients in Ohio and Pennsylvania successfully recover from opioid addictions and get their lives back. Headquartered in Youngstown, OH, AOC is managed by a team of clinical experts and experienced business professionals led by Nicholas Atanasoff, DO, CEO and Medical Director of Addiction Outreach Clinic. AOC has a large, dedicated team of physicians, counselors and nurses that ensure the best possible treatment and outcomes for our patients. Our physicians include: Doctors of Medicine (MD), Doctors of Osteopathic Medicine (DO) and Board-Certified Addictionologists. Our clinical team is led by Nicholas Atanasoff, DO, CEO and Medical Director of Addiction Outreach Clinic. AOC prides itself on strict compliance with all Federal and State regulatory laws, regulations and guidelines in order to provide the best environment, treatment and outcomes for its patients. AOC is in the process of complying with all requirements of the new Senate Bill 319 by its deadlines. On April 6, 2017 The Ohio Legislature/Ohio General Assembly passed Senate Bill 319, one of the nation’s most aggressive approaches to tackle Ohio’s opiate addiction epidemic by strengthening prescription drug oversight, encouraging responsible treatment and preventing overdoses. Ohio is investing nearly $1 billion annually to fight this problem from all sides. Senate Bill 319 will further strengthen opiate-prescription oversight by the Ohio Board of Pharmacy, encouraging responsible treatment and preventing overdoses. For example, in order to ensure Suboxone® is appropriately prescribed and to increase the success of this form of treatment, facilities where prescribers treat 30 individuals or more will now be subject to licensure by the Board of Pharmacy unless the facility is a licensed hospital or is already certified by the state. This reform also requires physician ownership of office-based opiate treatment clinics along with mandatory background checks for the owners and employees of these facilities. Read more here. Please view our list of frequently asked questions and answers.